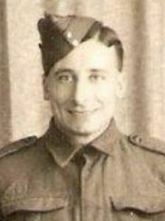 Eric Grey was a Technical/Mechanical Transport Clerk at GHQ Coleshill with the Royal Army Service Corps. The RASC contingent was responsible for driving the officers around and delivering stores all over the Country. Eric provides a great background to what went on at Coleshill and his records have been able to verify many postings at the GHQ.